Chefs Jeremiah Stone and Fabián von Hauske, both graduates of The French Culinary Institute (now International Culinary Center), opened Contra in 2013 and Wildair in 2015. 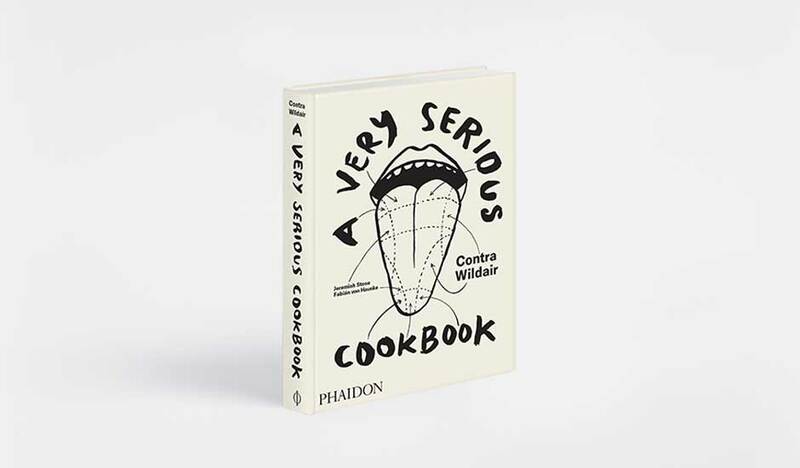 Sticking with their collaboration efforts they’ve published A Very Serious Cookbook: Contra Wildair. Not only a cookbook but the story of two places beloved by chefs and foodies worldwide – Lower East Side tasting-menu restaurant Contra, and its more casual sister restaurant Wildair. A passionate seasonal cooking style has been the vibe at both Contra and Wildair since opening their doors. Stone and von Hauske bring the same vibes to their cookbook along with some of their mainstays as well. Pushing the boundaries of culinary creativity, A Very Serious Cookbook: Contra Wildair consists of 85 recipes broken up into four main chapters; Always (mainstay, non-seasonal); Sometimes (hyper-seasonal, guest chef collaborations, international travel inspiration); Never (dishes on the menu once, not existent yet, all important); and Pantry. It’s yet another accomplishment to add to the duo’s resume; right next to Food & Wine Best New Chefs and honored in ’30 Under 30′ by Zagat and Forbes. Contra and Wildair have also received several Best New Restaurant nods and major acclaim from the New York Times, Saveur, Bon Appétit, and Eater, among many others.